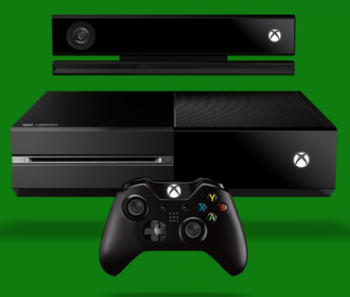 The suggestion that Xbox One will run all Windows 8 apps is not accurate, says Microsoft. Hardware manufacturer Dell stepped forward with a bold claim. "Consider the game officially changed," it said. "With all your favorite Windows 8 apps able to be run on and synced to your Xbox One, now your phone, desktop, tablet and TV can all give you a unified web and entertainment experience." At time of writing the claim is still there on Dell's storefront, but maybe it won't be much longer. Or maybe it will, for once again it's mixed messages from the folks at Microsoft. "The suggestion that all Windows 8 apps run on Xbox One is not accurate," Microsoft told Eurogamer. OK, but that Dell quote doesn't look much like a suggestion; more like a statement of fact. Besides, Microsoft's rebuttal leaves open the possibility that some Windows 8 apps will run on Xbox One. It's not as if this topic hasn't come up before. "If you want to know about how to get a head start about thinking about developing for Xbox One, the logical thing to do is go build Windows 8 applications," said Microsoft's Steve Guggenheimer back in June, to developers thinking of working on Xbox One. So which is it? Probably some Windows 8 apps will work on Xbox One, but as for which, who knows? Maybe Dell does, and maybe it doesn't. Microsoft's message is still unclear.